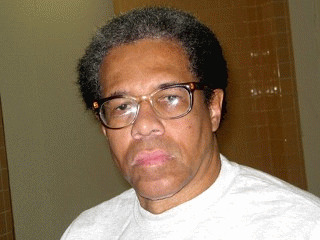 U.S. District Court Judge James J. Brady in Baton Rouge, Louisiana has ordered the state to either free or retry Albert Woodfox after almost three dozen years in solitary confinement. Woodfox, tried with two other co-defendants, was convicted for the 1972 murder of prison guard Brent Miller at Angola Prison where Woodfox was serving a sentence for armed robbery. After a controversial trial and an even more disputed second trial in 1998 when he was retried following appeal of his first conviction, Woodfox may see freedom from the infamous prison where he has been held in virtual isolation for over three decades. Woodfox had been active in a prison chapter of the Black Panthers in racially-charged Angola Prison, a vast plantation-style penitentiary in rural Louisiana. Following conviction for the stabbing murder of Miller, a life sentence was imposed and Angola officials decided that for security reasons Woodfox and fellow Panther Herman Wallace would be held in solitary confinement. The 6' by 9' isolation cells would become home, night and day, for thirty-five years. Magistrate Docia L. Dalby has described the punishment meted out to the two Panthers as, "durations so far beyond the pale that this court has not found anything even remotely comparable in the annals of American jurisprudence." Judge Brady, after a careful review of the trial record and recommendation of Magistrate Judge Christine Noland, determined that Woodfox had not received a fair trial; that his attorney failed to adequately represent him; and that the state's chief witness, Hezekiah Brown, had gotten a reduced sentence for naming Woodfox. Further, exculpatory information about the physical evidence in the case, bloodstains, was withheld from the jury. While Woodfox waits for a prosecutor's decision on his future, another Black Panther in the Nebraska State Penitentiary, Ed Poindexter, waits for a ruling from the Nebraska Supreme Court on his request for a new trial. Poindexter and fellow Panther activist Mondo we Langa (formerly David Rice) were convicted in April 1971 for the bombing murder of Omaha police officer Larry Minard. Unlike Woodfox, who was an inmate at the time of his alleged crime, Poindexter and Langa were free and officers in the Nebraska Committee to Combat Fascism and were Omaha's most vocal police critics. On August 17, 1970, police were lured to a vacant house investigating a report of a woman screaming when a bomb killed Minard and injured seven other police officers. Within two days of the bombing, J. Edgar Hoover, director of the Federal Bureau of Investigation, who had targeted the Black Panthers, ordered Ivan Willard Conrad, director of the FBI national crime laboratory to withhold information that was not favorable to the prosecution of Poindexter and Langa for Minard's murder. Hoover was at war with the Black Panthers and secretly directed a clandestine "no holds barred" operation, code-named COINTELPRO, to put the group out of existence. Using illegal tactics, FBI agents engaged in a nationwide campaign that encouraged violence, planted evidence, withheld evidence, obtained false arrests, and took a host of other measures that would later be denounced by the U.S. Senate Select Committee to Study Government Operations commonly known as the Church Committee. At question in the Minard killing was the identity of the unknown caller who made the emergency call to police headquarters. Hidden for years behind a secrecy stamp, Omaha Asst. Chief of Police Glen W. Gates, in a confidential COINTELPRO memo to Hoover, asked the FBI to abandon the search for the killer who made the call because it might "prejudice the police murder trial" against Poindexter and Langa. Ultimately a 15 year-old, Duane Peak, confessed to the crime and claimed he made the phone call and that Poindexter and Langa put him up to the murder. Peak's story falls apart if someone else made the deadly call. The tape recording, which was withheld from the jury that convicted the two Panther leaders, did not sound like Peak but rather resonated with the voice of an older man. The tape was destroyed by local authorities after the trial only to have a duplicate recording emerge years later. The duplicate tape was subjected to modern vocal analysis in 2006. Expert Tom Owens has testified that the voice on the tape is not that of Peak, thus leaving an unidentified accomplice on the loose. Poindexter is seeking a new trial over the withheld evidence and the Nebraska Supreme Court hears oral arguments in the case this week. No date has been set for a decision. Poindexter and Langa are serving life sentences at the Nebraska State Penitentiary. Both men deny any involvement in the crime.